There’s a lot more than meets the eye when putting together a styled shoot, and we’ve laid it all out for you! 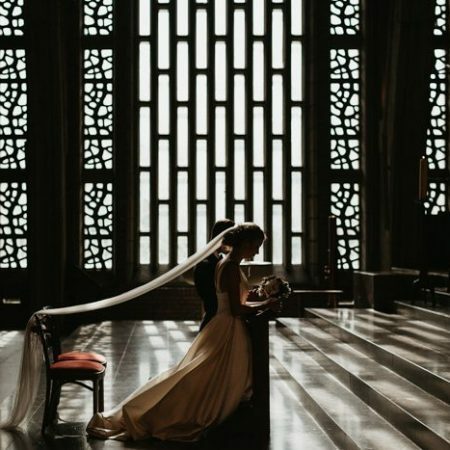 Because wedding blogs often publish fewer styled shoots than real weddings, editors tend to be fairly picky over what styled shoots get featured and what don’t. In order to help you plan the most dreamy shoot that will lead to blog features and bookings, we came up with a list of nine things for you to keep in mind the next time you’re ready to start dreaming up your next styled shoot. In the beginning stages of planning your styled shoot, it can be helpful to have a Pinterest board dedicated to your ideas and vision. Before you get pinning crazy, put that board on private! You don’t want everyone to see what you’re planning before you do it. 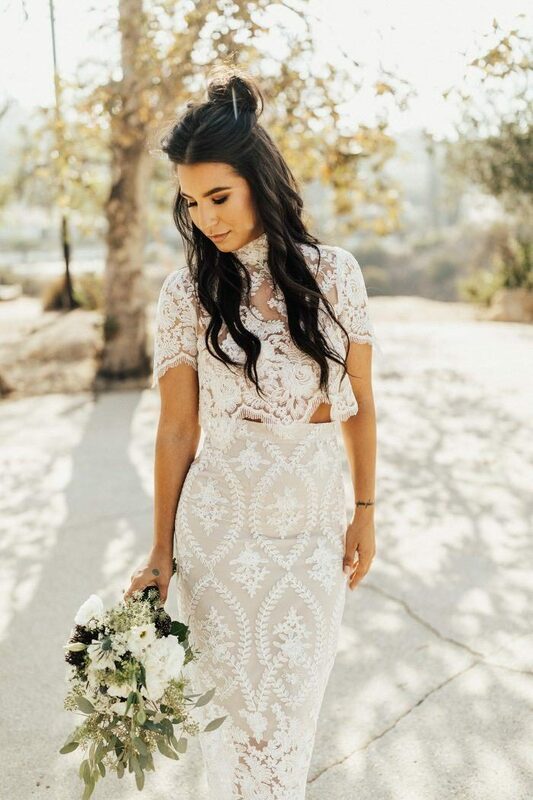 Use Pinterest as a mood board to collect everything from details you want to recreate to pieces you want to rent or buy to shots you want to try on the big day. Psst. Don’t forget to pin those images after the styled shoot is all said and done. 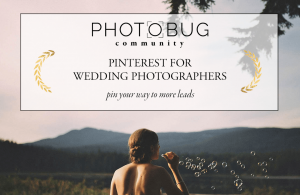 You can take our Pinterest for Wedding Photographers e-course for more help! Styled shoots are the perfect opportunity to work with your own list of favorite vendors. 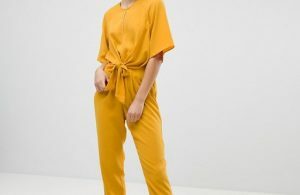 Not only do you get to handpick the professionals to carry out your vision for this shoot, but you’re showcasing their work to potential clients who might just hire you as a team to transform their dream into reality! Let each of your vendors do what they’re best at. Rely on the planner and florist to create a beautiful scene. Does your local rental company have some really cool pieces of furniture that haven’t been used often? Now is the time to make it the star and highlight how it can be used in a real wedding. 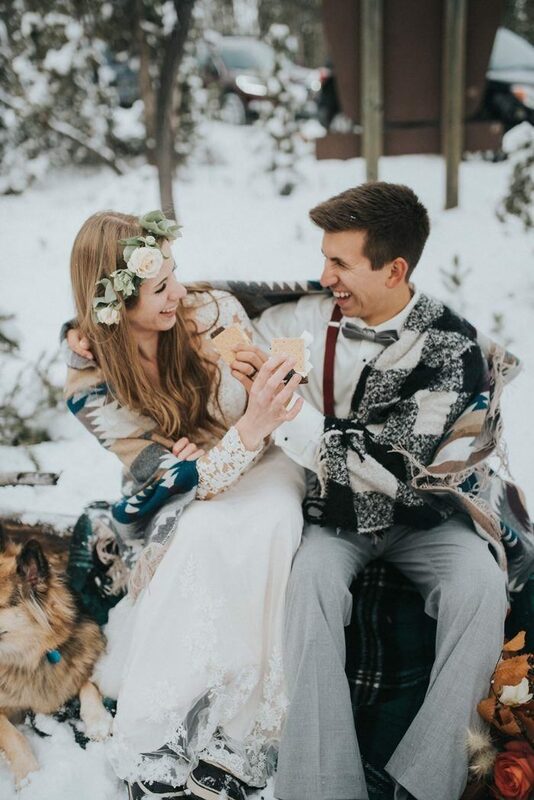 Supporting local vendors will, in turn, inspire local couples to let you create something unique together that perfectly represents them. Another important detail when planning a styled shoot is the location. Is there a venue you’ve been dying to shoot at? Or have you stumbled upon a dreamy spot at a national park? Wherever it may be, your shoot has the potential to showcase a wedding location you love to future leads. This is the perfect opportunity to show off a new space or demonstrate a new and fresh way to take on a popular space. 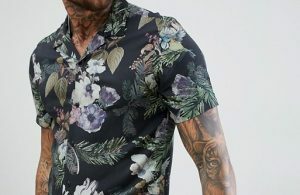 Speaking of details, don’t shy away from them! 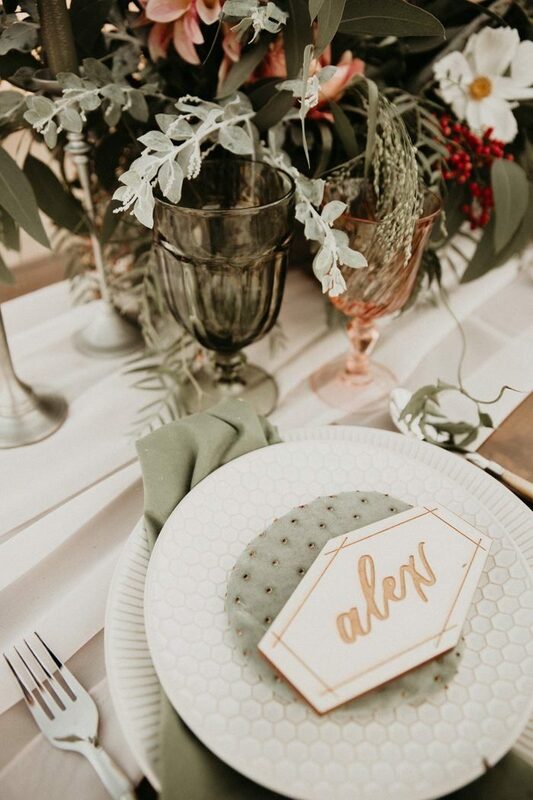 The purpose of wedding blogs (like Junebug *ahem*) featuring a styled shoot is to make up for the wedding decor that we may not be getting from real weddings. Often, couples are working with a limited budget and may not be able to go full out on details or they may not think of all the different ways they can decorate their wedding space. 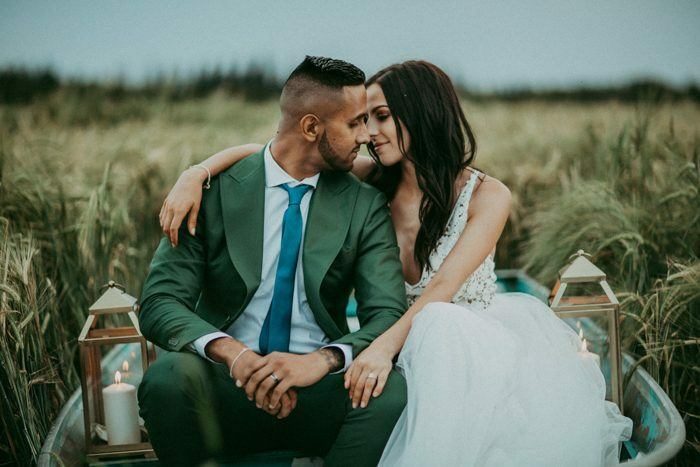 Wedding blogs exist to inspire couples and show them all the different things they can do for their very own weddings, so we need as many details as we can get – be sure to keep that in mind when putting together a styled shoot! Styled shoots are a great opportunity to share what you want to see in the wedding industry. If you’re tired of seeing the same old decor, then style something totally new – this is a great way to start and spread trends! 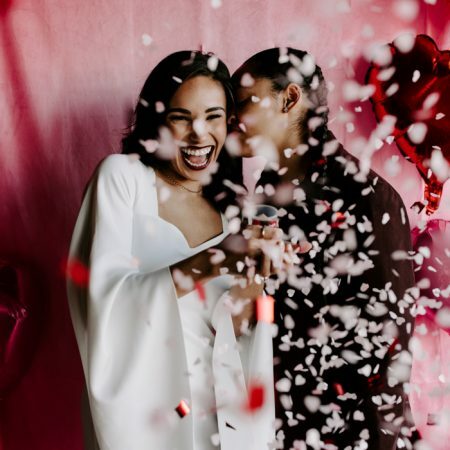 Since wedding blogs don’t get their hands on a real wedding until months after the wedding happened, it can be difficult to be the first to show what’s trending, but styled shoots basically speed up that process! 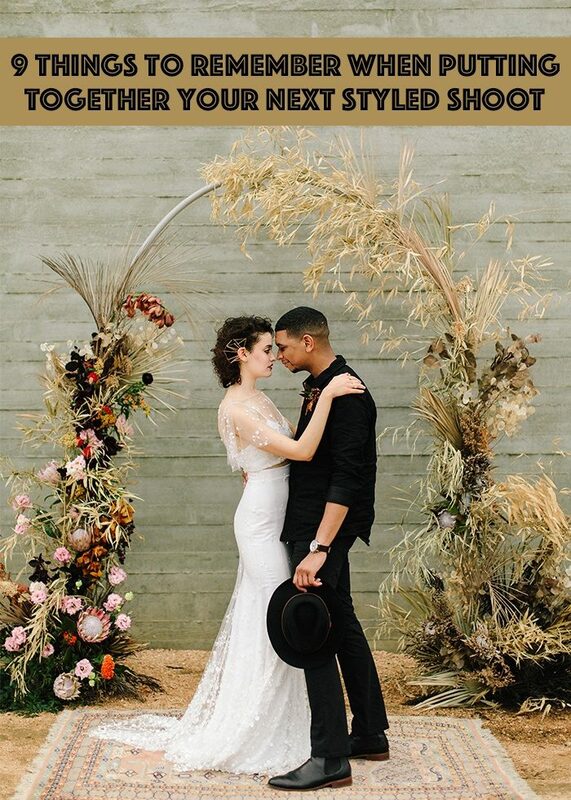 Styled shoots inspire couples to try something that hasn’t been done before and it shows couples that they can literally do anything they want for their wedding and don’t have to follow the same rules and traditions that their parents and grandparents are used to. Styled shoots are a great way to boost your SEO! Is there a venue or location you haven’t shot at, but want to? Perfect! Target a specific place and start planning that shoot. When people search that area or venue for weddings, you’ll show up on Google and will be more likely to get that booking! Don’t let an unpopular or new spot intimidate you, but encourage and inspire you! Remember, if you are the only photographer who has photographed at a specific location, it’s going to be super easy for you to rank for it on Google. Instead of shooting where everyone else has been, get in on the ground floor of the next big thing! Putting together a styled shoot is more than photographing a beautiful couple in wedding attire. Styled shoots perform best when they seem like a real wedding. The best way to achieve this is by creating 3-5 vignettes for the shoot where couples can pull inspiration from. Whether it’s a ceremony space, sweetheart table, guest book table, reception space, etc., we are looking for a lot more than a couple being photographed in a pretty place. The more realistic the styled shoot is, the better of chances the shoot has at performing long term. As much as we love to feature beautifully styled shoots, our goal is for you to gain more traffic and leads from it! While we’re on the topic of making a styled shoot as realistic as possible, it would be beneficial to use a real couple for your shoot. Photographing a couple can be easier than using two models who haven’t met before. Couples have the advantage of already being comfortable with one another and naturally having better chemistry than two strangers. While shooting, you can direct the couple as if they were any other client of yours and might be a little more willing to get close and cozy with their partner. It also doesn’t hurt that they may keep you in mind for the future, hey there wedding bells! 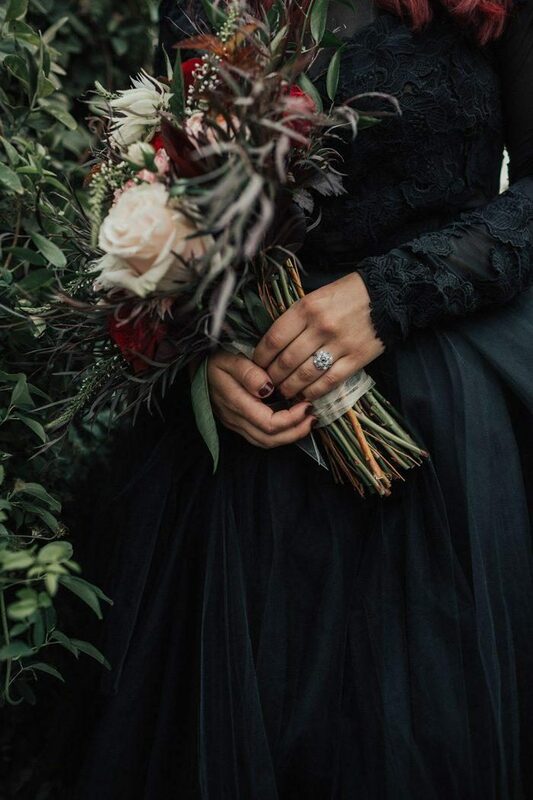 Yes, I realize this may not be any sort of magical trick to putting together a styled shoot, but nonetheless, it’s important to remember why you started planning this shoot to begin with. Although planning and executing a styled shoot is a lot of work and can be stressful at times, it should be fun! It’s the perfect way to do something creative for yourself while supporting and working with local vendors. Now that you have the key to styled shoot success, you’re ready to make some serious magic (and maybe submit it to your favorite wedding blog). If you’re ready to take your social media game to a whole other level, check out these automation strategies that are a game changer for your social media workflow!